WELCOME TO THE TEACH 4 THE HEART PODCAST! We’re here to give you the ideas & inspiration you need to overcome your teaching challenges & make a lasting difference in your students’ hearts and lives. Designed for Christian teachers in both public and private schools, we strive to present each discussion from a Biblical perspective. Join us by subscribing to the podcast. Or, browse episode collections below. ​...is to subscribe on your smart phone or tablet via Apple Podcasts (for iOS) or Stitcher (for Android). You can also choose to be notified via email. I’m feeling inspired, motivated, and empowered by Linda’s realistic and personal approach. She offers a good balance of advice for teachers of various grade levels, not just elementary teachers. The spiritual tips are also incredibly helpful and appreciated. This is my very favorite teaching podcast! I have found it so helpful when I need encouragement and/or information about a topic I’ve been thinking about. I enjoy her way of sharing materials. With Teach 4 the Heart you get straight talk without a bunch of lalala. I appreciate this short, practical podcast. I especially like her emphasis on the reason for classroom management – so you can focus on relationships and teaching. ​The best thing you can do is to write a review of the show on iTunes. This helps rank the show higher which helps more people discover it. 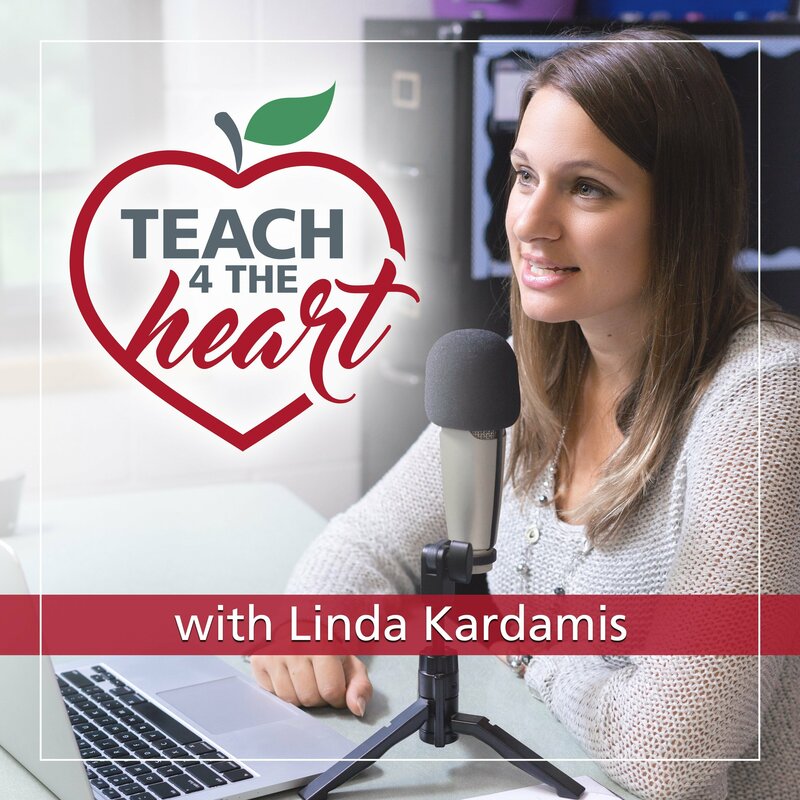 Click here to write a review of the Teach 4 the Heart podcast. You can also tell your friends and colleagues about the podcast. You can share this page here or tell them to search for the Teach 4 the Heart Podcast. Thanks for listening & helping spread the word.